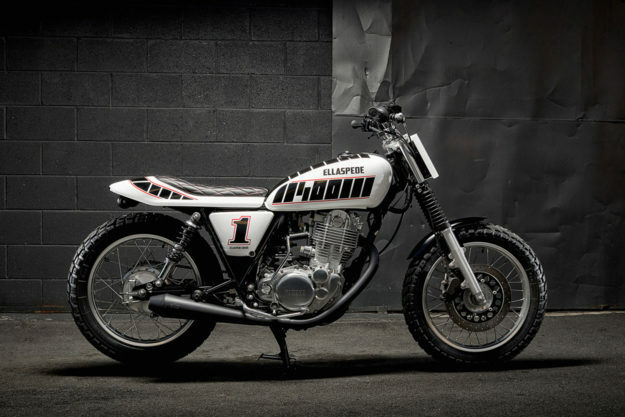 Next year, the Yamaha SR400 will be celebrating its 40th birthday. It’s been in production since 1978, aside from a brief hiatus ten years ago for a fuel injection transplant and emissions upgrade. There are a few other two-wheeled dinosaurs still around, but the Yammie is reliable, can still keep up with urban traffic, and is built to modern quality control standards. 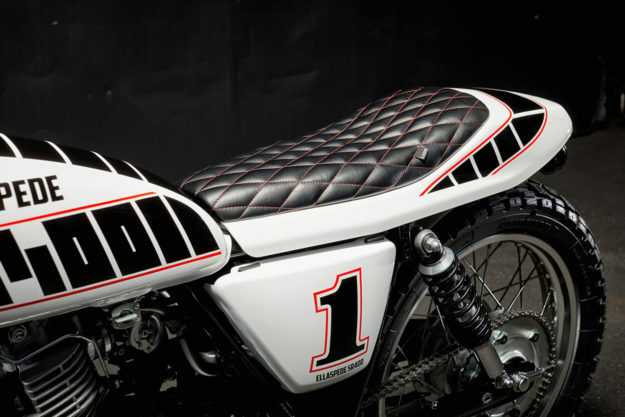 In showroom form the SR400 has a retro (if slightly dowdy) appeal. 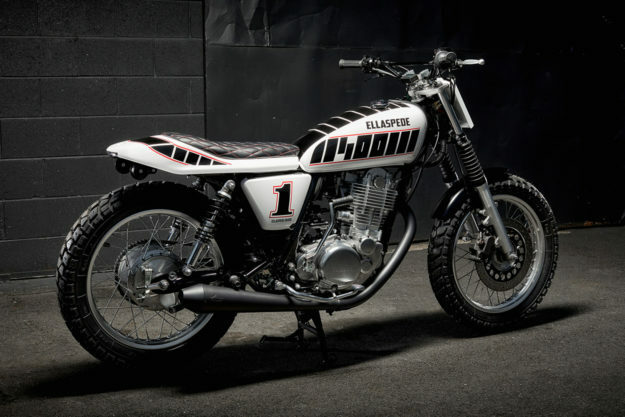 But the Australian company Ellaspede is about to give owners a second option, with two very slick kits that add a tracker vibe to the plucky little single. 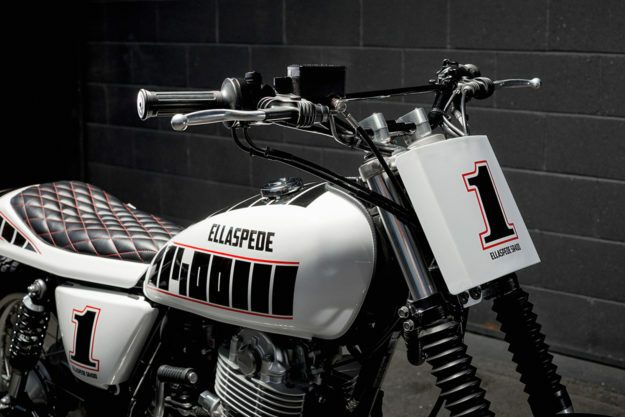 Queensland-based Ellaspede has built up a good rep for one-off customs, but producing kits is a big—and logical—step up. 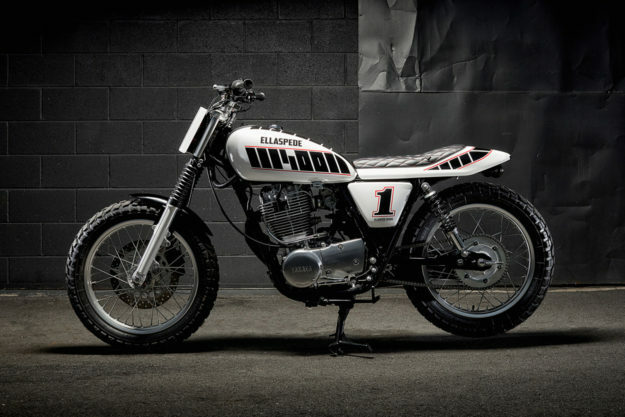 “Building a bike from ‘bolt on parts’ isn’t something we’ve done before as a custom shop,” says Ellaspede’s Hughan Seary. 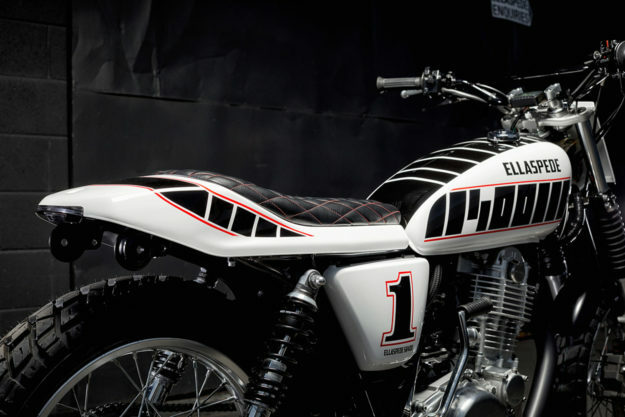 The kits are designed for EFI SR400s but can also be retrofitted to any SR400, going right back to the first models from 1978. 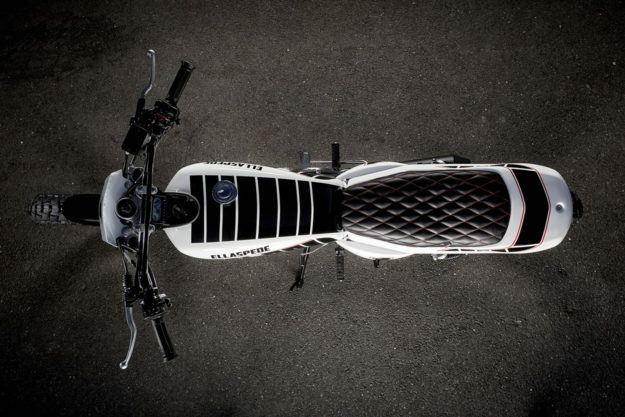 The seat conversion kit includes a UV-rated vinyl seat in diamond pattern finish, an OEM quality rear cowl made from automotive grade plastic, and an aluminum mounting plate. You also get an integrated brake and taillight, and a license plate kit with a rear reflector and number plate light. The electrics are plug-and-play, and don’t require cutting or soldering. Ikon. The tires are Heidenau K60 Scouts. The kits are in production now and will start shipping in August. Pricing is likely to be around AU$2,000 for the seat kit and just under $4,000 for the complete kit. Secondhand SR400s are excellent value too: In the US, it’s possible to get a recent machine for around $4,000. And prices for older models in Europe and Japan are even lower. 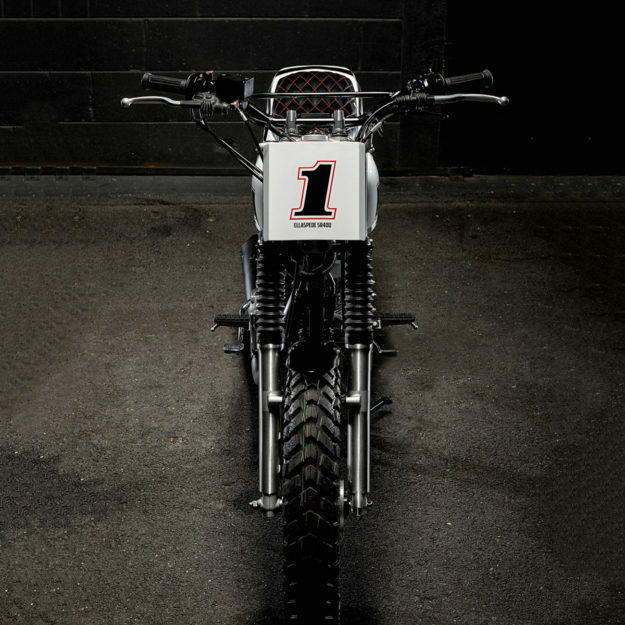 If you fancy putting a bargain basement street tracker in your garage, drop Ellaspede a line via their website.